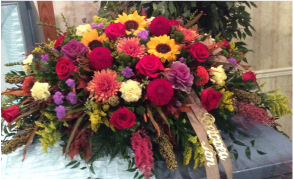 When celebrating the life of a family member, friend or acquaintance you may want to send a floral tribute to the funeral home or the family's residence to convey your sorrow. We have worked alongside local funeral homes for 23 years and have gained an immeasurable amount of experience in this portion of our industry. 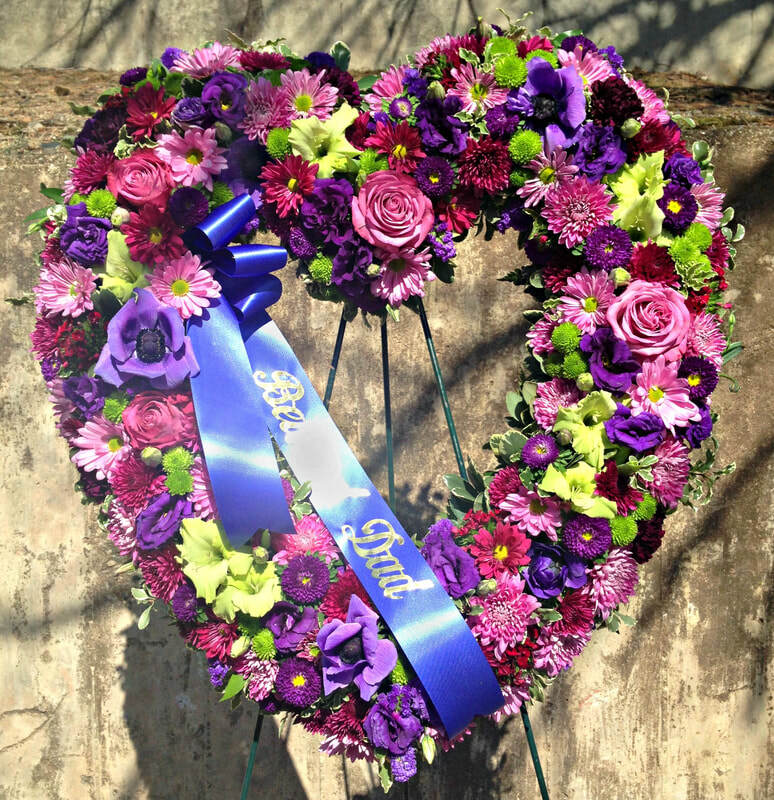 We strive to ensure that each and every sympathy arrangement is tasteful, beautiful and appropriate each service. As well as, represent and honor the life of the deceased. In the photos below, you can see the many different style choices that you have when ordering a floral tribute for a family member, friend or acquaintance. Each style is fully customizable from style to color. Due to the often accelerated process of a funeral and the seasonal availability of some flowers, we may not always be able to replicate the exact pieces pictured. In addition to the styles below, we also create custom and specialty pieces - please call us to discuss all of your options and to place your order, (908) 464-5445. 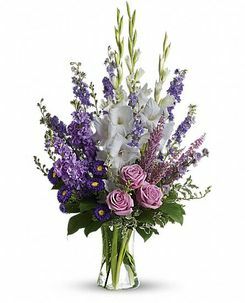 Vase Arrangement - This type of arrangement can be sent to the funeral home or residence. Appropriate for family, friends and acquaintances to send. Price range: $50.00 (plus delivery) and up. Arrangement pictured is $125, plus delivery. Traditional Standing Spray - This style arrangement is sent to the funeral home or service. Standing Sprays are typically appropriate for family, close friends, groups of coworkers or acquaintances. Price Range: $150.00 (plus delivery) and up. Arrangement pictured is $175 plus delivery. 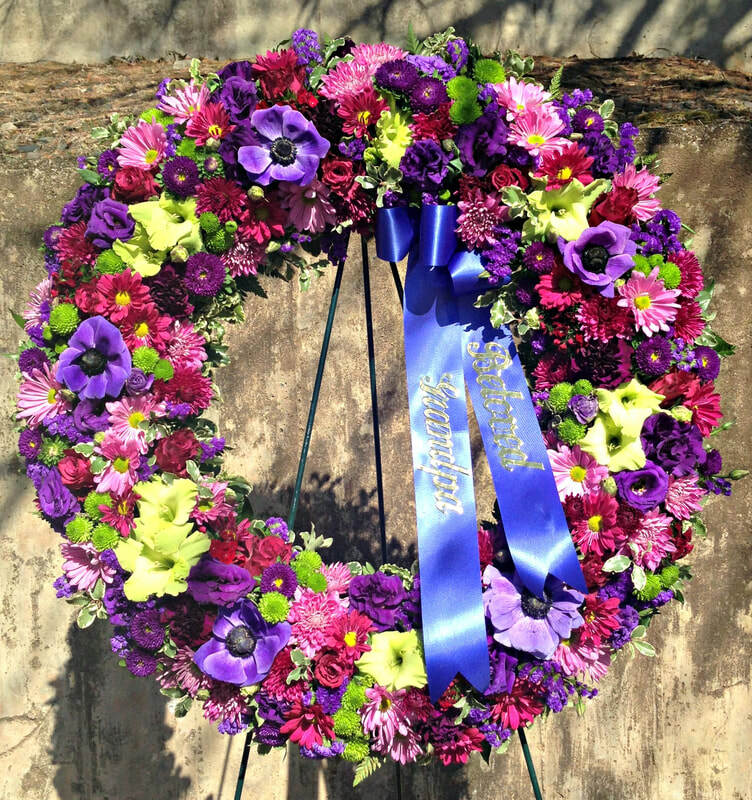 Wreath - This style is sent to the funeral home or service. Wreaths are typically appropriate for family, close friends, groups of coworkers or acquaintances. Price Range: $250.00 (plus delivery) and up. Wreath pictured is $350.00 plus delivery. 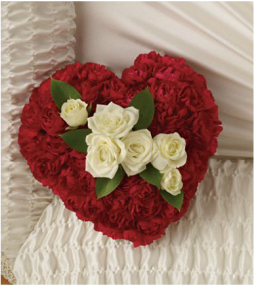 Open Heart - This style is sent to the funeral home or service. Open Hearts are typically appropriate for family or close friends to send. Price Range: $250.00 (plus delivery) and up. Heart pictured is $350.00 plus delivery. 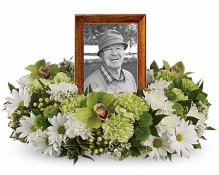 Casket Spray - Fully customizable and can be made to fit half or the full size of the casket depending on family's needs. This piece is usually from the next of kin or other family members. Price Range: $250.00 and up. Casket piece pictured is $350.00 plus delivery. Photo Memorial - Fully customizable depending on size of photo and if you would like it to be free standing or table-top. Typically from next of kin or other family members. Please call for pricing. 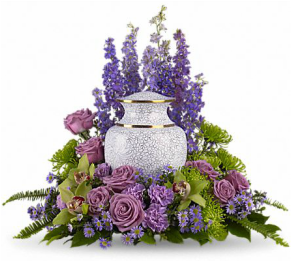 Flowers to Surround Urn - Fully customizable depending on the shape and size of the urn. Typically from next of kin or other family members. Please call for pricing. We also deliver to places of worship and mausoleums for memorial services and ceremonies within our standard delivery area.